What is one of the first things customers notice about a poorly maintained building? There's nothing quite like cracked, peeling or faded paintwork to bring down the external appearance of your building. That’s why it is imperative to have the right people with the skills and equipment to provide a tailored commercial painting solution and maintenance plan. The painting staff at Pro-Asset Painting Maintenance can complete jobs of any size, at times convenient to your business, from national-scale projects involving multiple sites to one-off repaints. We can provide project-managed painting services of this kind to all industry sectors. 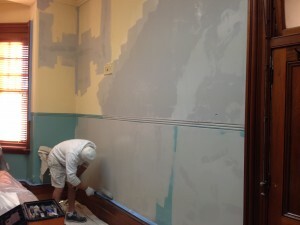 Whether a small or large-scale painting work, every project is treated the same. You will have an initial meeting with an on-site representative who will inspect the building and complete a preliminary assessment. You will then receive a detailed proposal and site specification, outlining the premium-grade materials to be used and applied by Pro-Asset staff under the direction of an onsite foreperson and project manager. The Pro-Asset difference lies in providing a flexible service that is tailored to the needs of your facility. Many of our projects are undertaken out-of-hours to minimise the disruption that painting can cause your staff and patrons. 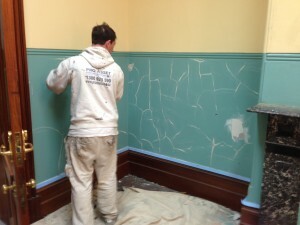 Pro-Asset were engaged in the repaint of local Parkes Court House. The Justice Department was looking to repaint the interiors of Parkes Court House; a treasured heritage-listed site. The site required an experienced painter to provide a solution to sustained wall and ceiling damage from water and movement over time. Pro-Asset were happily referred to the project from a previous heritage project on behalf of another government department. There were challenges due to the court house needing to continue operations as normal. Project works needed to be scheduled around their full schedule, while still reaching conclusion within the prescribed deadline. 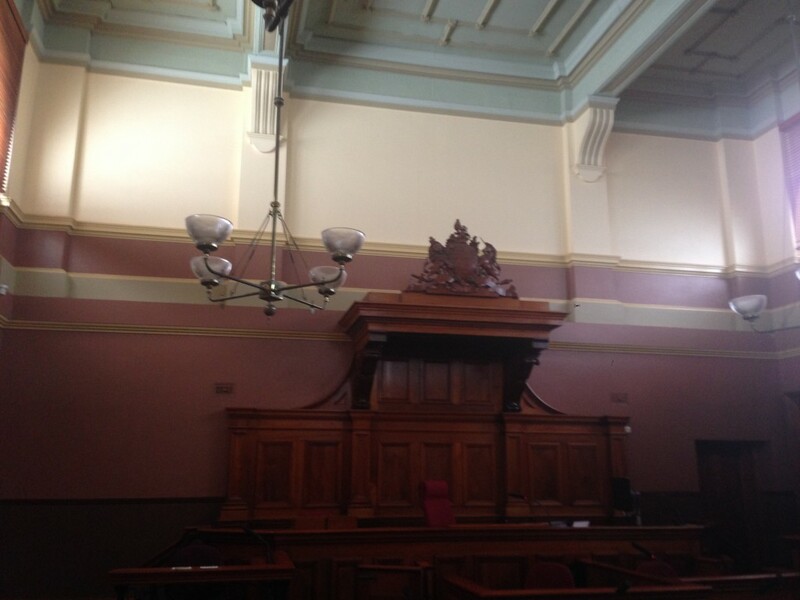 Pro-Asset sent their skilled and qualified tradesmen from Sydney to refurbish the interior of Parkes Court House. Pro-Asset staff were challenged to work out how to operate around court operating hours while ensuring they met strict deadlines and Work Health and Safety guidelines. Our team's previous Heritage experience ensured we were able to provide the necessary skills needed to produce a high-quality, long-lasting outcome. The internal work was completely restored and renewed to a high standard. The workmanship was awarded as 'Highly Commended' and landed Pro-Asset Painting Maintenance a finalist in the Master Painters Awards for Excellence in 2015. At the conclusion of a successful project, Pro-Asset were asked to price work for further Court Houses for the Justice Department.